Hi crafty friends! How are you? 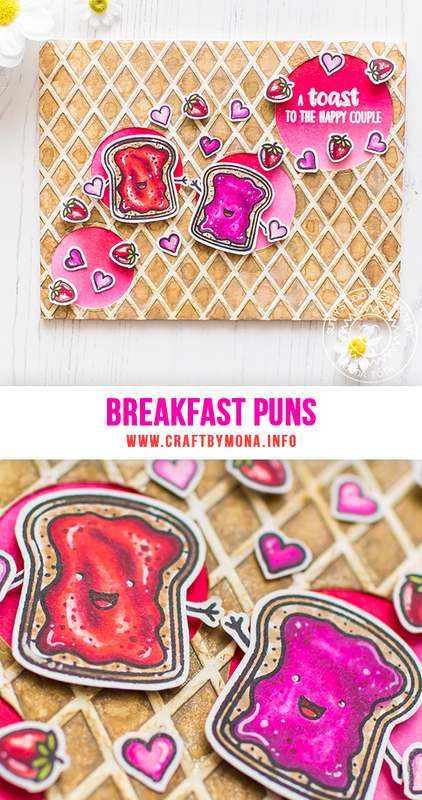 Today I am showing you a sweet card featuring Breakfast Puns Stamp Set and Staggered Circle Dies. You can find all the used supplies below. I started the cardmaking with Die-Cutting. I used the Staggered Circle Dies to create a fun look in the background. When it was done I made dry-embossing with Dapper Diamonds Embossing Folder. When it was done I colored it with brown watercolors and it turned to ice cream wafer. Next I made ink blending in the background. I used my Distresses in the following order: Festive Berries, Picked Raspberry, Spun Sugar and the result is a fresh "jelly" color look in the background. The next step was heat embossing. I stamped the sentiment to the background from the Breakfast Puns and heated with white embossing powder. The last process on my card was stamping and coloring. 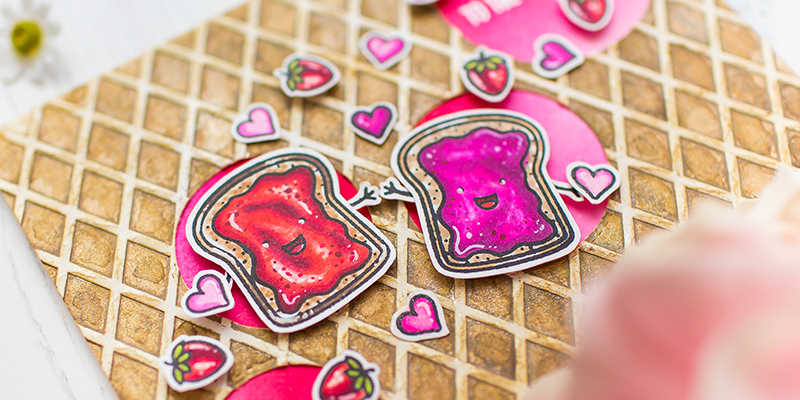 I stamped many cute strawberries hearts and cute toasts with the Breakfast Puns Stamp Set and colored them with Copic Markers. I styled my card, adhered the parts together and finished my card.